Bluegill Energy’s certified professionals provide independent, third-party verification to help building projects meet the International Green Construction Code (IgCC) green building and performance measures. The IgCC is the first model code to include sustainability measures for the entire construction project and its site, from design through construction, certificate of occupancy and beyond. The IgCC creates a regulatory framework for new and existing buildings, establishing minimum green requirements for buildings and complementing voluntary rating systems that may extend beyond the baseline of the IgCC. 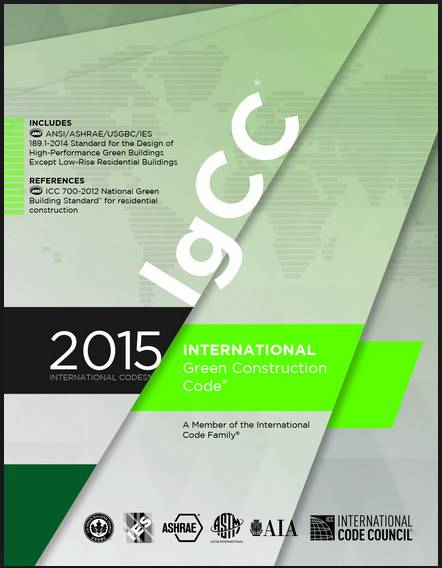 The code acts as an overlay to the existing set of international codes, including provisions of the International Energy Conservation Code (IECC) and International Code Council (ICC) 700, the National Green Building Standard (NGBS), and incorporates ASHRAE Standard 189.1 as an alternate path to compliance. The IgCC offers flexibility by establishing several levels of compliance, starting with the core provisions of the code and then offering “jurisdictional requirement” options for local community adoption. For more information on the IgCC, visit the ICC site. We will be glad to answer all of your IgCC certification questions and provide verification services in a timely manner.